Dr. Franke is a Madison native who has been working in the veterinary field since the age of 16. She started her career cleaning kennels and bathing cats and went on to veterinary school. She has a bachelors degree in Molecular Biology from the University of Wyoming, and graduated from the Iowa State College of Veterinary Medicine in 1996. Dr. Franke worked in private practice in Illinois, Milwaukee, and the Fox Cities and as a shelter veterinarian before starting ReadySetVet® in 2013. As a shelter veterinarian, she saw cases of abuse and neglect which sparked her interest in forensic science. 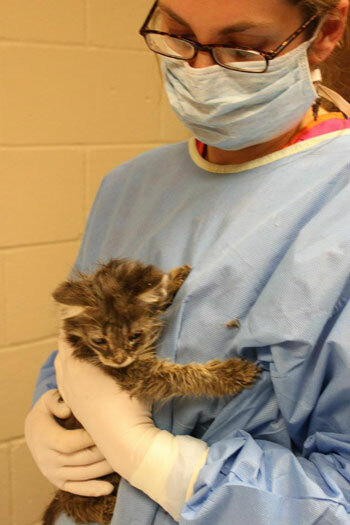 Dr. Franke is a passionate advocate for victims of animal abuse and neglect. She has testified in court and has assisted local law enforcement with abuse, neglect and animal hoarding cases, speaking for those that can't speak for themselves. 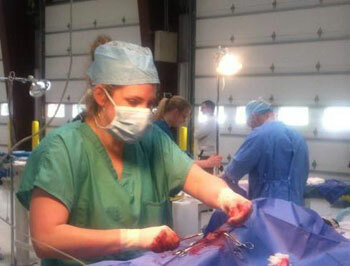 She has taken extensive coursework in veterinary forensic science and medicine and animal CSI. One of her mentors and personal heroes is Dr. Melinda Merck, lead veterinarian in the infamous Michael Vick dog abuse case. Dr. Franke shares her home with husband Kurt (also a veterinarian), two kids, and an assortment of dogs. Previous pets include a beautiful Tabby named Maui and a variety of pocket pets. In her free time, she can usually be found walking the dogs or chasing kids. She recharges her batteries by hiking in Wyoming.